In this week’s edition of “TWITTER WAR”, WWE’s CHRIS JERICHO goes keyboard-to-keyboard with NJPW/ROH’s KENNY OMEGA! 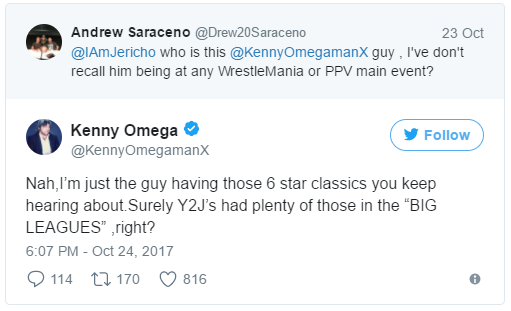 In what appears to a relatively random response to a fan’s tweet calling Omega the new “Best in the World”, Jericho responded rather unkindly. It took “The Cleaner” almost a day to respond but respond. He. DID! 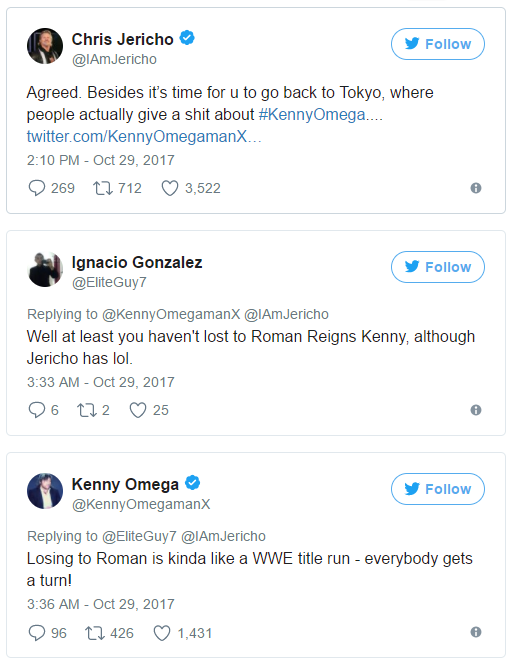 Not wanting to be outdone, Kenny Omega was the first to respond to another fan’s tweet, this time criticizing The Bullet Club leader’s lack of WrestleMania matches. Is this the end of this week’s pro-wrestling TWITTER WAR? Or has it only just begun?! 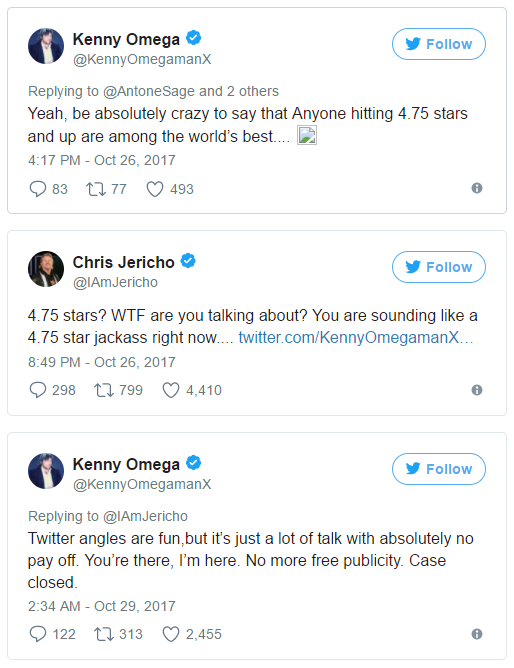 Stay tuned for more from the little blue bird and the battles of 140-characters or less! 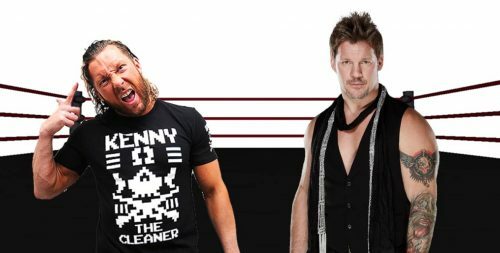 UPDATE: Kenny and Chris went at it once again in a thrilling conclusion involving a run-in by Roman Reigns!